Arrived at the sanctuary in 2009 after her owner passed away and no one in the family wanted her. 2 months after she arrived, she started spewing blood out of her mouth and nose. The veterinarian discovered high blood pressure, high cholesterol, a heart murmur and a small piece of metal stuck in her gizzard. They got Chicky’s medical situation under control and she’s been great ever since. Sadly, Chicky passed away 4 days after we photographed her. Mollywood thanks you all for your support this year, and invites you to visit the website of our amazing photographer friend, Oliver Regueiro, who tells the stories of captive parrots like Chicky in the photo above! Start with BJ the Macaw and click the > to scroll through Oliver's beautiful tribute to parrots. MOLLYWOOD is always in need of food, toys, pellets, nuts and more - but our needs change by the day. PETsMART Gift Cards give us what we need, when we need it! Order here online! Costco Gift Cards make it easy for you to buy on-line and our human caretakers can buy us what we need! Order here! You can also help Mollywood by shopping! Shop from your favorite vendors such as Amazon.com, LL Bean, JC Penney and over 600 other vendors, all of whom will show you on screen how much percentage of your purchase will benefit Mollywood. Go to One Cause now. Monetary donations desperately needed - please send your donation today! Rusty was unresponsive by the time Surprise paramedics arrived at the scene, where a frantic resident reported a pet locked in an overheated car. Fearing they were too late, the firefighting crew jimmied the truck door open and Rusty’s owner, Joanne Ruth Doyle, grabbed his cage and took it inside. Rusty, a 19-year-old cockatoo, was lying on his stomach with his wings spread out and Doyle feared he was dead. to Aaroch Ray on his 2011 Eagle Scout Project. 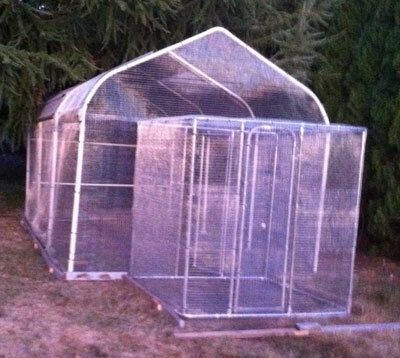 who will be so excited to call this new, huge aviary, “Home”. At this time, Mollywood is not taking in any birds, except extreme cases. We are happy to help you find other sanctuaries or adoptive situations for your feathered companions.